From a feminist perspective, what does it mean to live a rhetorical life in a globalized world? Why is a feminist perspective productive for 2013? What are important sites and lived spaces in which we need to be rhetorical? How do you bring a feminist perspective that highlights a transnational world into your teaching, your administrative duties, your service work, your field commitments, personal life, and your activism? How do you locate transnational issues and sites that are important? And finally, how do you enact a feminist transnational method? On March 22nd, the CCR Graduate Circle hosted our first live-recorded podcast event: “Feminist Perspectives on Living a Rhetorical Life in a Transnational World.” To facilitate this conversation, we invited a range of diverse speakers with different areas and levels of expertise on transnational feminism and rhetorical studies. Participants in the panel included Rebecca Dingo, Dana Olwan, Anna Hensley, Tim Dougherty, and Eileen Schell. 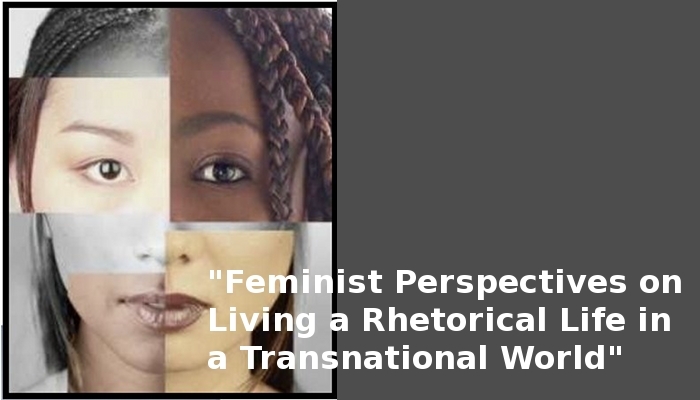 “Feminist Perspectives on Living a Rhetorical Life in a Transnational World.” Image created by Seth Long. To read a PDF of the full transcript, please download it here: Transcript for Episode 7. The music sampled in this podcast is “Stay the Same” by Bonobo.